Client Bobby Leesman on May 10th, who fished a full day on May 10 came away with a 30lbs. Yellowfin tuna. He also has action throughout the day, but the fish were tough to catch. 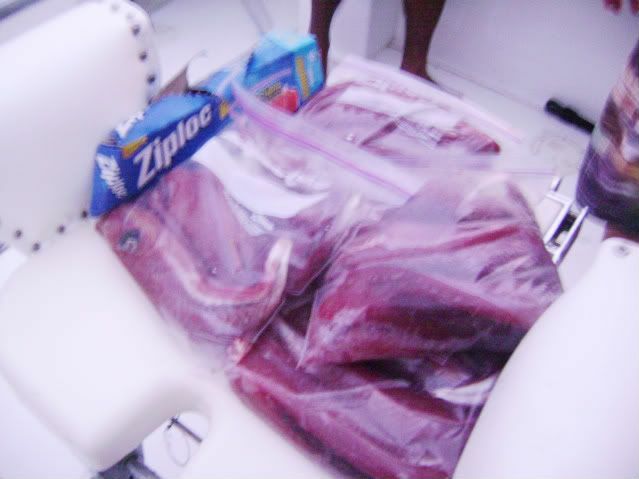 On the December 1 Billy Tucker was on board the Nice n’ Tight for a morning of fishing. In just a quick trip he brought home four 25-30lbs. Dorados and four 15lbs. Yellowfin tuna. On November 25 the Wanderer was full up again with Craig, Matty, Lucy from Los Angeles, and ‘Lucky’ Brian from San Francisco. 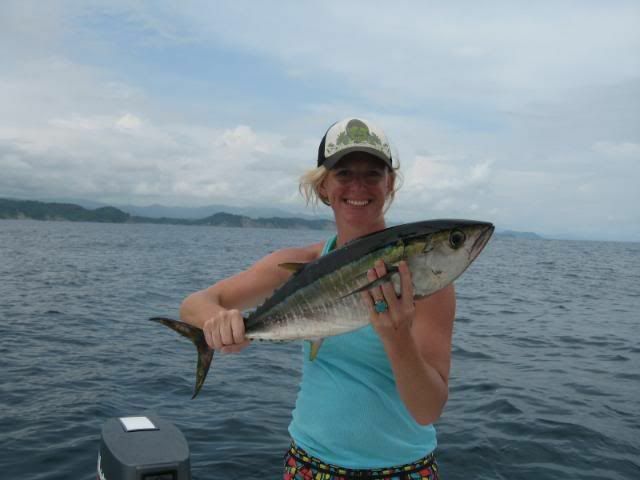 Brian is an avid surfer who has visited Nosara for several years, but didn’t want to go fishing because he thought he was bad luck. No such thing in these waters, my friend! 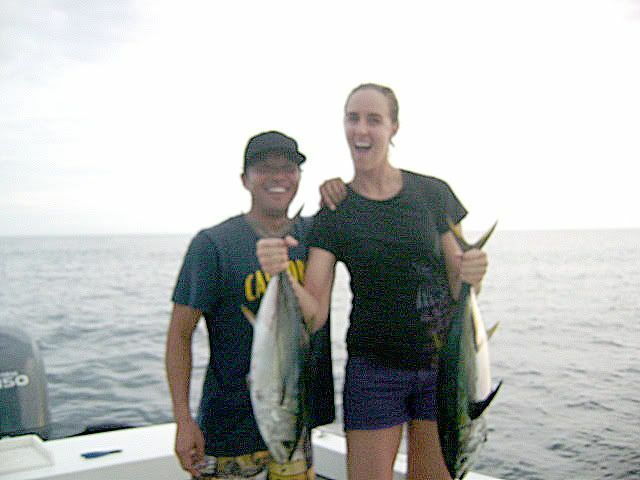 Brian and Lucy absolutely destroyed the schools of tuna on our inshore reefs. Of course, Brian was the icebreaker, catching this 12lbs. 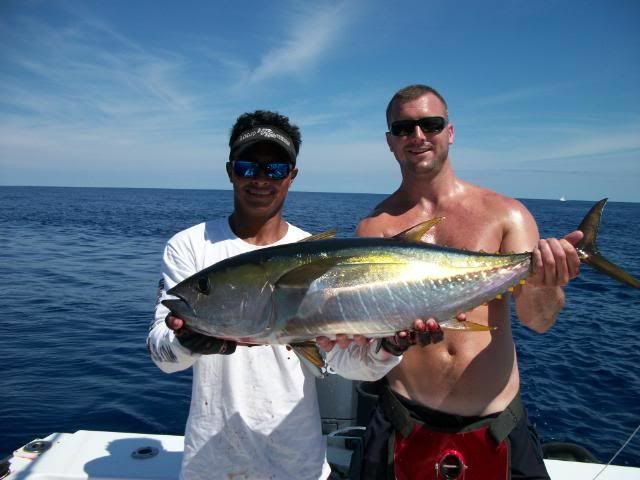 Yellowfin tuna first…for the rest of the trip his nickname was ‘Lucky’. Lucy is an LA County Lifeguard who knows a thing or two about water rescues, but I bet she never had a fight in the water like this Yellowfin tuna. 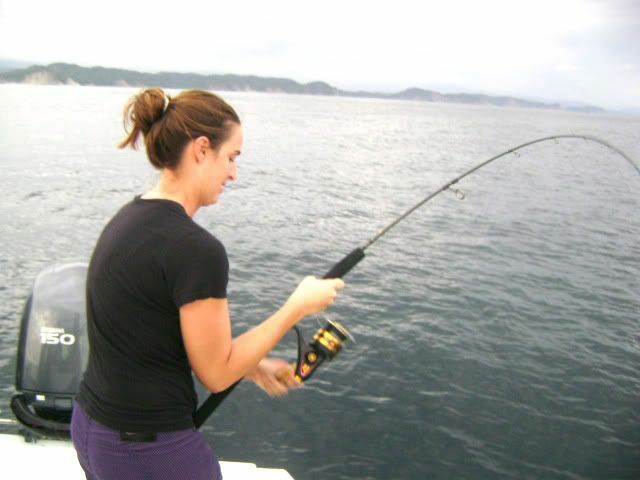 She hung tough, and by day’s end there were eight yummy tunas for the Californians. 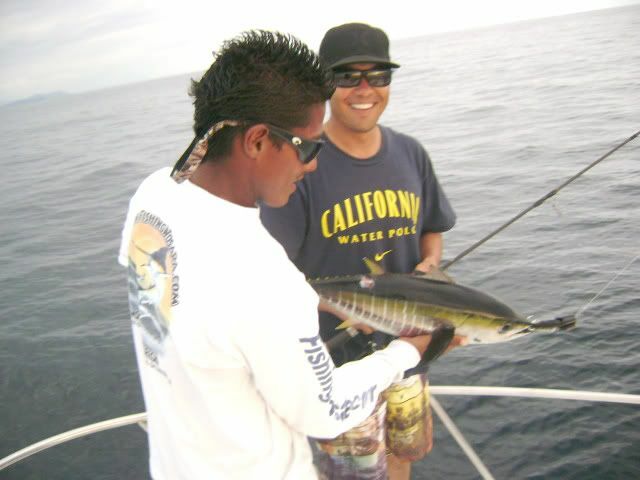 On July 14th client James had a banner day with Captian Vibert. By the end of the trip he had caught five 18lbs. jacks, two 15lbs. 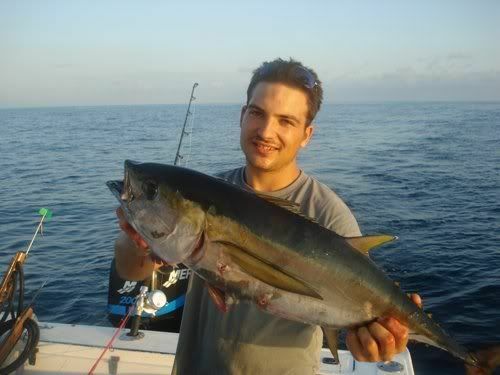 yellowfin tuna, and a very elusive 18lbs. white tuna. 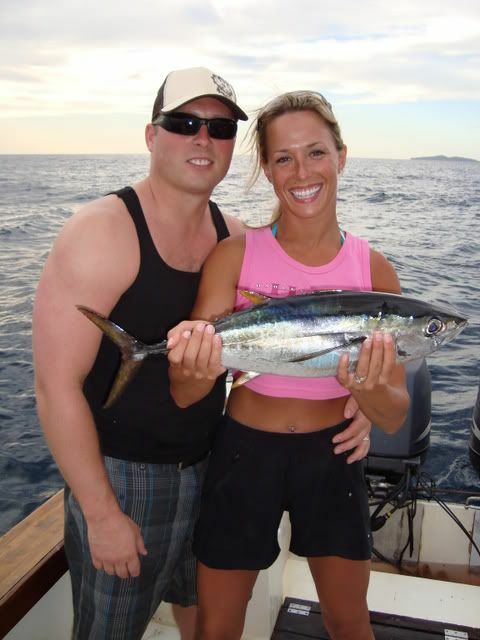 We’ve seen lots of clients going after these excellent tasting fish recently, and the diversity of the table fare is a testiment to Captain Vibert’s long experience fishing these waters. 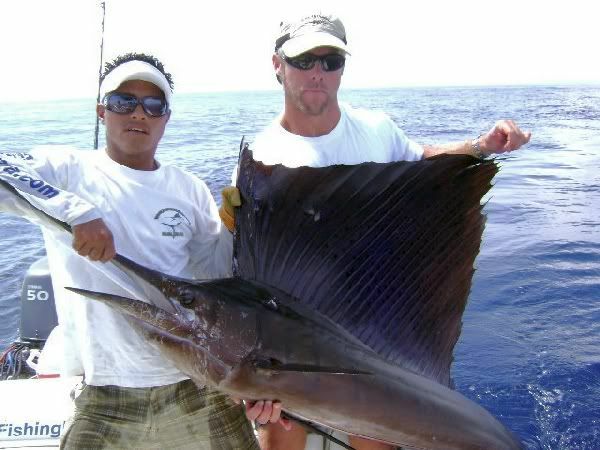 On July 14th client James had a banner day with Captian Vibert. By the end of the trip he had caught five 18lbs. jacks, two 15lbs. 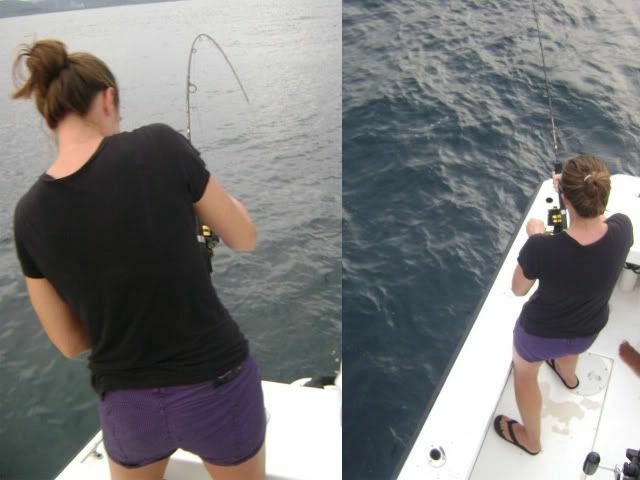 yellowfin tuna, and a very elusive 18lbs. white tuna. We’ve seen lots of clients going after these excellent tasting fish recently, and the diversity of the table fare is a testiment to Captain Vibert’s long experiance fishing these waters. Most recently, client David filled the fishbox with a varied haul on July 15th. He came back with three 12lbs. 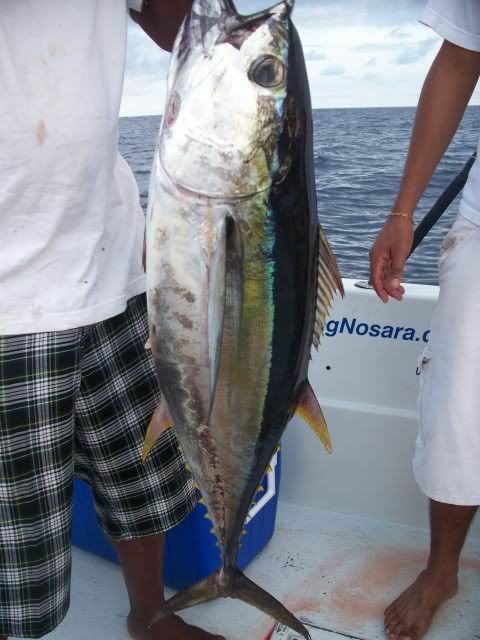 dorados, two 8lbs. ponpanos, a 12lbs. jack, and a 10lbs white tuna. May 29th was a day of variety for client Ivan DeLuca, catching a 15lbs. dorado, a 5lbs. jack, and a pair of 10lbs. black tunas.The highlight was this excellent Yellowfun Tuna. 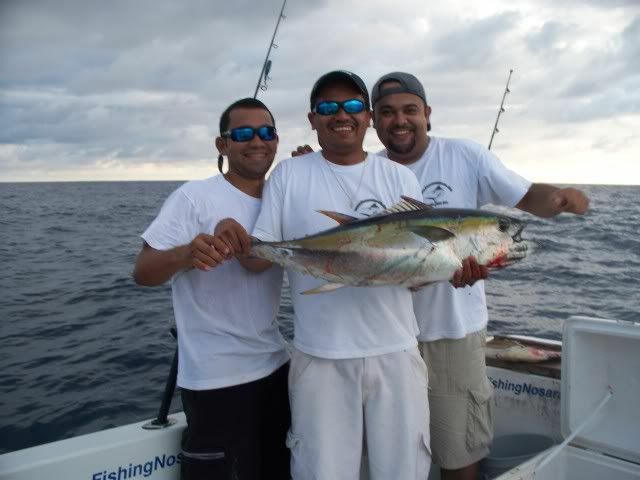 Ivan came back a week later and was joined by Conceige Numero Uno Manuel and Mate David Barrantes for a full day with Captain Vibert, and they redefined ‘day of variety’ by reeling in three 12lbs. 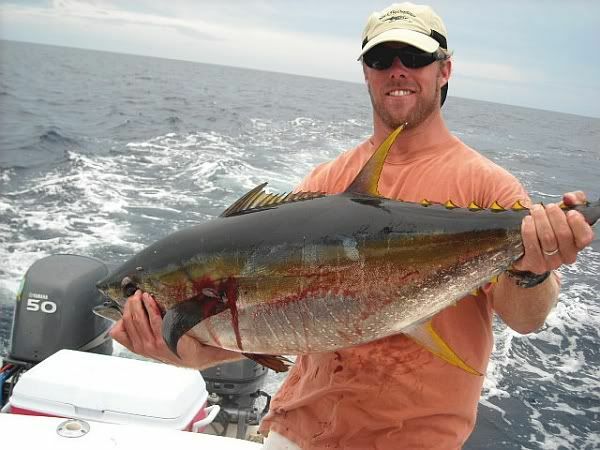 yellowfin tuna, a 5lbs. gerguero snapper, three little suegras, and a beautiful 10lbs.